(AUSTIN) — Senator Judith Zaffirini, D-Laredo, announced today (Feb. 16) that Texas A&M University will receive $225,000 for the first year of a five-year grant from the Texas Council on Developmental Disabilities (TCDD) to develop an inclusive postsecondary education program for persons with intellectual and developmental disabilities. The new program will include rigorous academic courses and enrichment classes that will serve as a pathway to careers in human services. What’s more, it includes a full year of training and supervised, field-based experience leading to a certificate and job placement. TCDD is a 27-member board dedicated to improving the lives of more than 450,000 Texans with developmental disabilities. The Council provides a variety of activities, including grant projects, technical assistance, public awareness and leadership training, to enable people with disabilities to live, attend classes and work in the community. More information on TCDD and its projects is available via http://www.tcdd.texas.gov/ or 800/262-0334. SENATOR JUDITH ZAFFIRINI, D-Laredo, is Chair of the Senate Higher Education Committee and a member of the Senate Health and Human Services Committee. 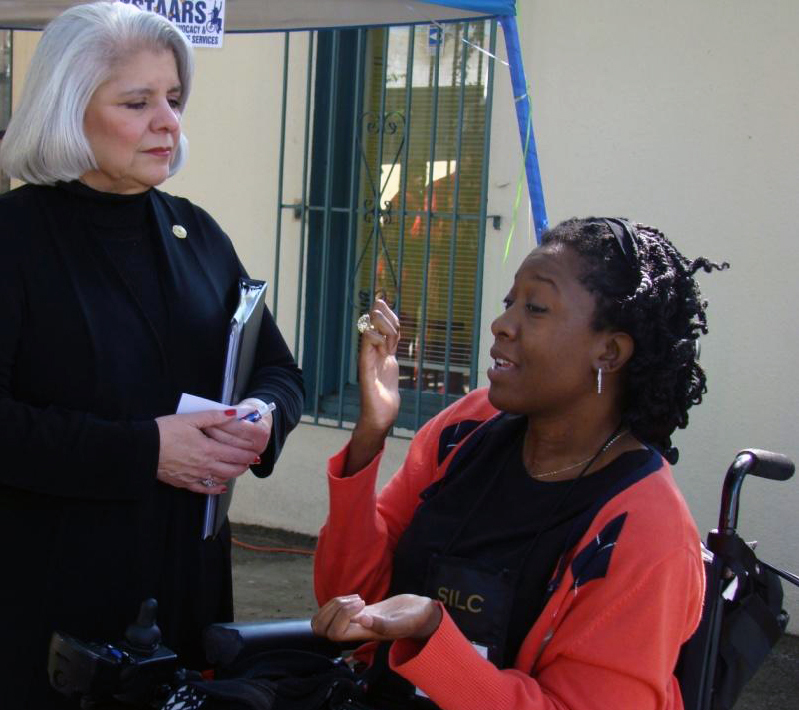 Shown here with Regina Blye, Executive Director for the Texas State Independent Living Council (SILC), Senator Zaffirini champions legislation and funding that help persons with disabilities live healthy, productive lives.